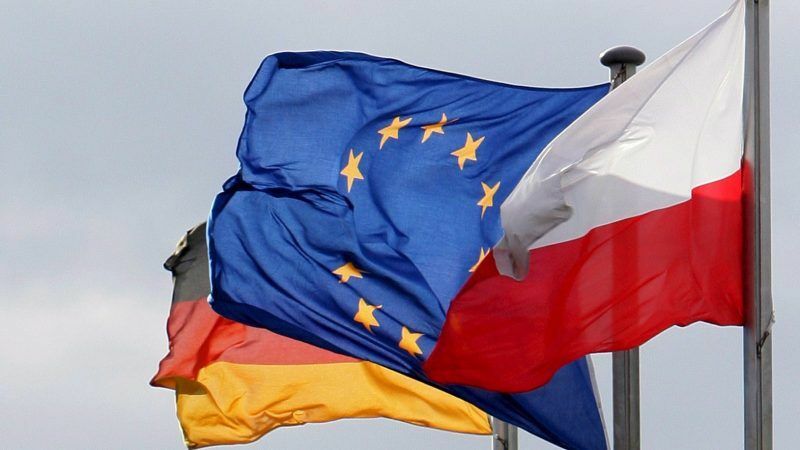 Despite an anti-German campaign run by the Law and Justice party (PiS) government and the media that support it for almost two years, Polish people’s attitude towards Germans and the German view of Poles have not become more hostile. EURACTIV’s media partner Gazeta Wyborcza reports. “Polish-German reconciliation is a miracle.” So said the late Bronisław Geremek, the Polish statesman and former foreign minister who brought a free Poland into NATO. Geremek was six years old when Hitler attacked Poland and in 1940 his family was sent to the Warsaw Ghetto. Two years later, they managed to escape. The future foreign minister hid with his brother and mother near Sandomierz but his father died in the Auschwitz concentration camp, as did the great majority of his relatives. When a man who lost his loved ones at the hands of the Germans during the war speaks about the miracle of reconciliation with the former enemy, it is impossible to ignore such words. Reconciliation was not easy for the Poles who grieved over hundreds of thousands of people killed, maimed, expelled from their homes and over their ruined country, or for the Germans who could not come to terms with the loss of Gdańsk, Wrocław and Szczecin – Danzig, Breslau and Stettin – from which they were deported. The gesture by the Polish bishops who reached out to their German counterparts in 1965, saying “we forgive and ask for forgiveness” did not bring immediate results. Nor was the importance of the gesture by Chancellor Willy Brandt, who five years later dropped to his knees before the monument to defenders of the Warsaw ghetto, immediately grasped. An entire generation had to pass in order to overcome mutual hostility, contempt and stereotypes. It took the great geopolitical shock that was the collapse of communism. Polish-German reconciliation has been part of the official programme of the governments of both countries since 1989. Poland and Germany have officially been allies within NATO since 2004, which was also the year when Poland joined Germany in the European Union. From the perspective of a quarter-century, the changes are immense. There are no border controls on the Polish-German frontier. It is difficult to walk through downtown Berlin during the weekend without hearing Polish spoken or through the centre of Warsaw, Wrocław or Gdańsk without encountering tourists from Germany. Trade between Poland and Germany exceeds Germany’s trade with Russia. More than a million young people have met as part of the youth exchange programme. There are of course problems: Germany is not as easy a market for Polish firms as Poland is for German companies. Poles in Germany find it harder to organise themselves than Germans in Poland, where they have the official status as a national minority. With the blessing of Angela Merkel’s government, Gazprom and German firms are constructing the second branch of a gas pipeline at the bottom of the Baltic Sea which bypasses Poland and Ukraine. Germany does not accept Poland’s arguments that they are giving Russia the tools to blackmail the region by shutting off the taps on other gas pipelines. But ordinary Poles and Germans treat each other like any ordinary neighbours. After the enormous tragedy of the twentieth century, after the genocide, the destruction of towns, deportations, they live normally, as befits Europeans. But then, in the autumn of 2015, PiS appeared in the Polish-German story of sweetness and light, constantly playing the anti-German card. Germans were accused of planning to flood Poland with Muslim refugees and the opposition of being German puppets. The party also began to play the history card. A year ago, the PiS leader, Jarosław Kaczyński, officially demanded that the Germans pay Poland reparations for World War Two. According to calculations of the pro-government press, Poland could seek billions of dollars. Propaganda in the state media constantly feeds the audience with images of wartime destruction. The party is silent on the fact that Poland renounced reparations in 1953 and PiS hasn’t the faintest idea how to compel the Germans to pay. But it is all about propaganda, squeezing political capital out of an anti-German sentiment. Is it working? Surely, after a propaganda campaign lasting for two years, Poles ought to hate the Germans. Recent research carried out by the Institute of Public Affairs, however, shows that it is not bad at all: 56% of Poles have a good opinion of the Germans (up three percentage points from 2016) while 29% of Germans have a positive opinion about Poles (a one-point increase). That is the good news.